I was recently sent duck products by Maple Leaf farms. One of the products that I was looking forward to trying was duck bacon. 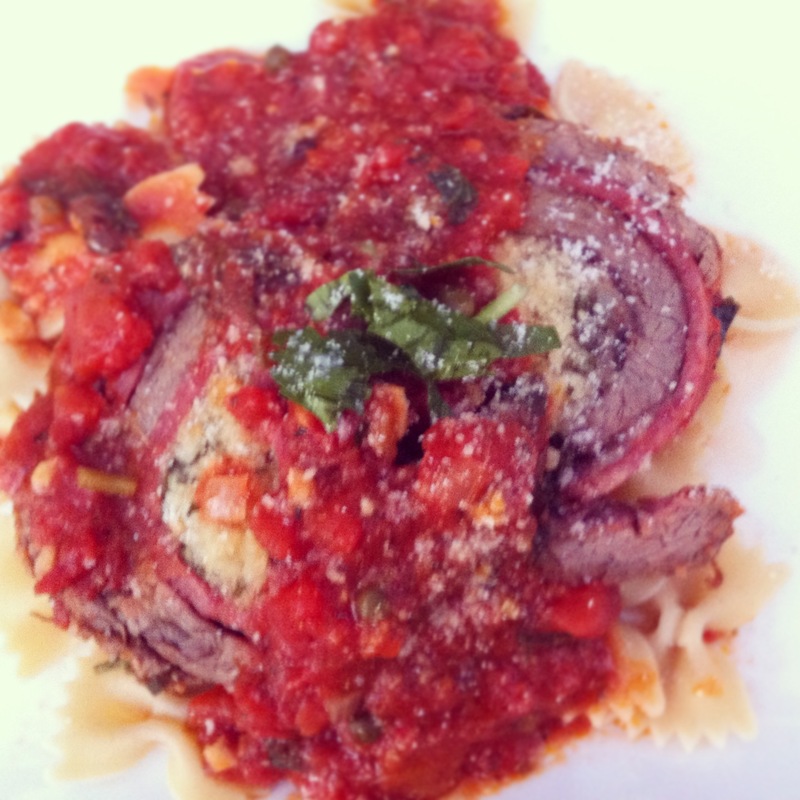 I haven’t made Braciole in forever. My dad use to make it all the time growing up but he use to make little ones. I figured this would be a perfect dish to incorporate the duck bacon. 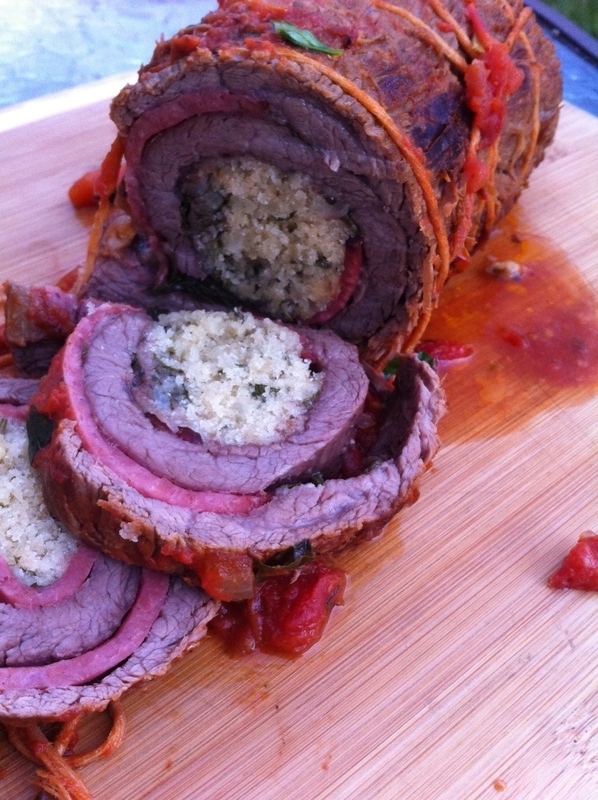 The smokiness of the bacon worked so well with the Braciole. If you get a chance to purchase duck bacon please give it a try. If you don’t eat duck you can always use regular bacon or turkey bacon. To find out more information on Maple leaf Farms visit them here http://www.mapleleaffarms.com/consumer Enjoy! i agree! i’ve never seen duck bacon in the grocery store but i do love duck & bacon. Wow! Definitely need to try this!